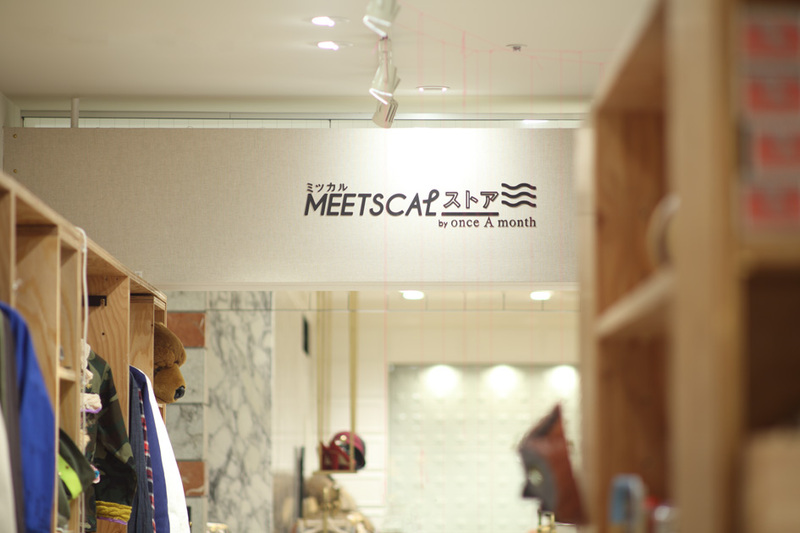 The shop “Meetscal Store by once A month” opened in the Parco Part One shopping center in Tokyo’s Shibuya area in September 2012. 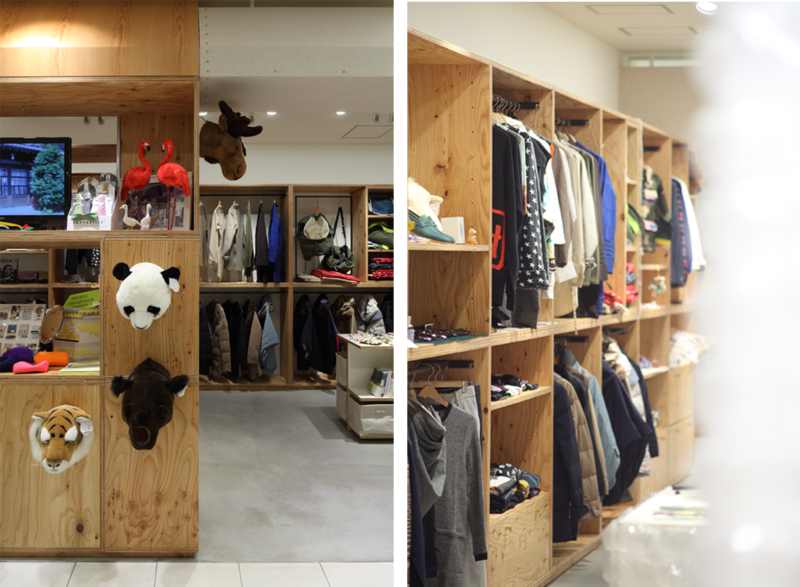 The store’s theme is summed up in the phrase “meets culture, meets local”. Making use of Parco’s unique network, Meetscal sells a highly edited collection of items focusing on certain areas of the world, with eight collections presented over four times in the year.Based on the shop’s seasonal and product diversity, Jamo designed the store with the image of a foreign marketplace in mind, in particular, using canvas to create a tent-like façade. 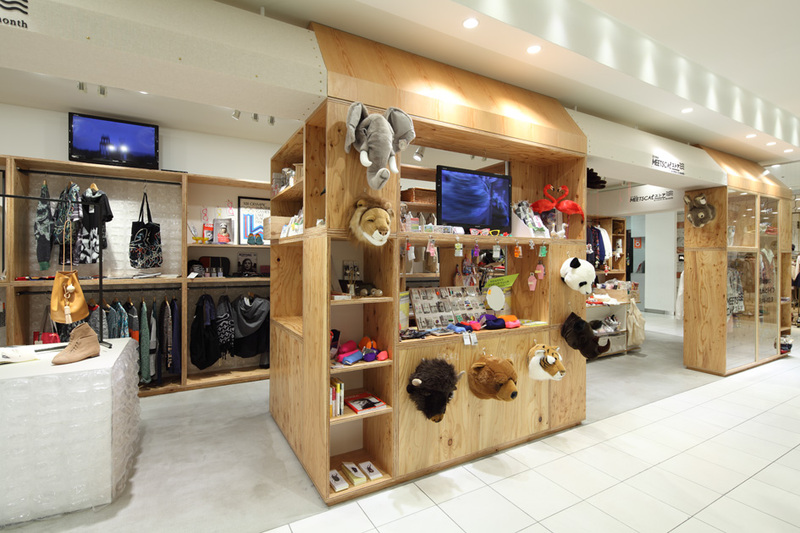 Different zones were created in the store, with the central area for Shibuya, Japan to the right and overseas to the left.At the same time, Jamo created adjustable display fixtures: boxes made of larch plywood that can be switched out to fit the needs of the current collection of product.The space kept its rough appearance but was given the finishings necessary to enable it to serve as a focal point for “transmitting culture”.